The Partridge Family Bulletin Board :: View topic - Episode # 66: "I Left My Heart In Cincinnati"
Episode # 66: "I Left My Heart In Cincinnati"
Posted: Fri Jul 02, 2010 3:39 pm Post subject: Episode # 66: "I Left My Heart In Cincinnati"
This is one of my favorite episodes of the series. If you want to read more about the filming of this episode, Dave, Brian and Suzanne talked a bit about it in their interviews on the site (People and Places section). So Many good memories- watching Shirley on the scale (with the clown band playing Ain't She Sweet while she was walking to the location); watching David (who wore a grimace while being lifted into his spot so as to not ruin the camera position) on the Monster & yelling "have fun" from the second row of the line as the ride started; & almost being sung to in front of the Eiffel Tower at the end of the day. Then passing out on my feet after David said "thank you" after I complemented him on the great job he did! (I must have passed out because I didn't even feel Shirley nudge me aside so she could get to HER trailer!) Together We're Better! 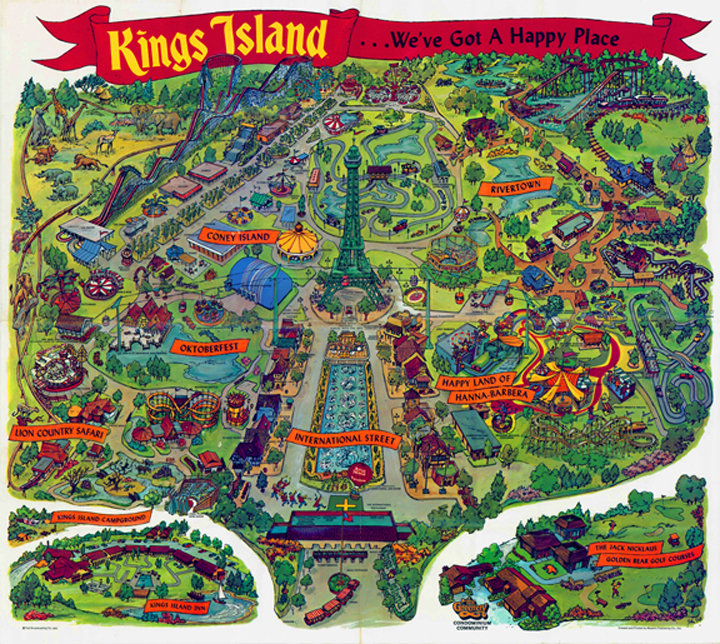 I have never been to Kings Island but I went to Cedar Point in Sandusky, Ohio back on June 25, 1978 when I was 13 years old. I have never been there since. This is one of the episodes that is fun because it's different. Also shows the family traveling again, something we didn't see as much of in the later seasons. Always makes me smile. I am a bit scared of roller coasters so I felt for him on that. though. This is one of the happiest episodes of the series though and a contrast to the earlier on location episode at Sea World which actually had a message. Matthew, I've also been to Cedar Point once, in August 1990, and haven't been back. I don't like coasters, so I can sympathize with Keith, although he was *really* bad... I am able to ride the merry-go-round, without any trouble!